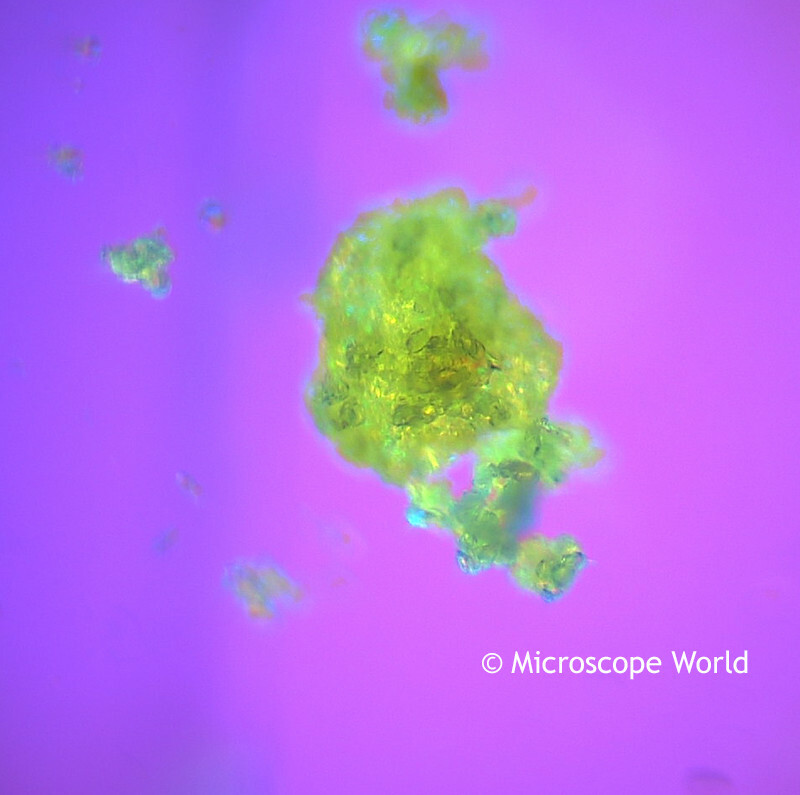 Ground ginger (the same type of ginger powder you would use for baking) was placed under the RB40 polarizing microscope for viewing. 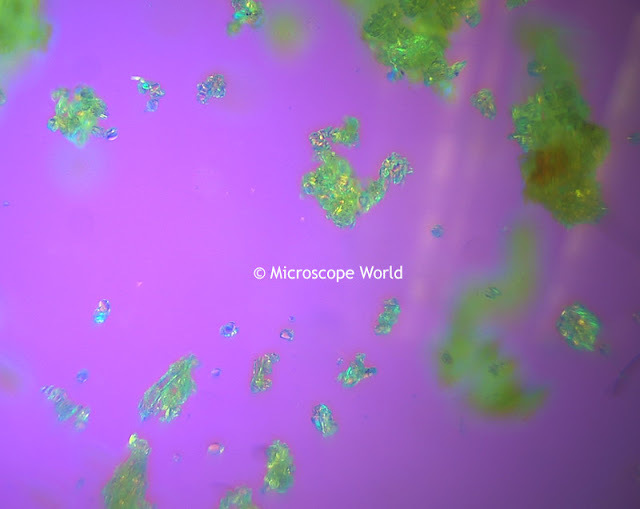 Using polarizing filters and the 1st order red plate, the images below were captured with the HDCAM4 HD microscopy camera. 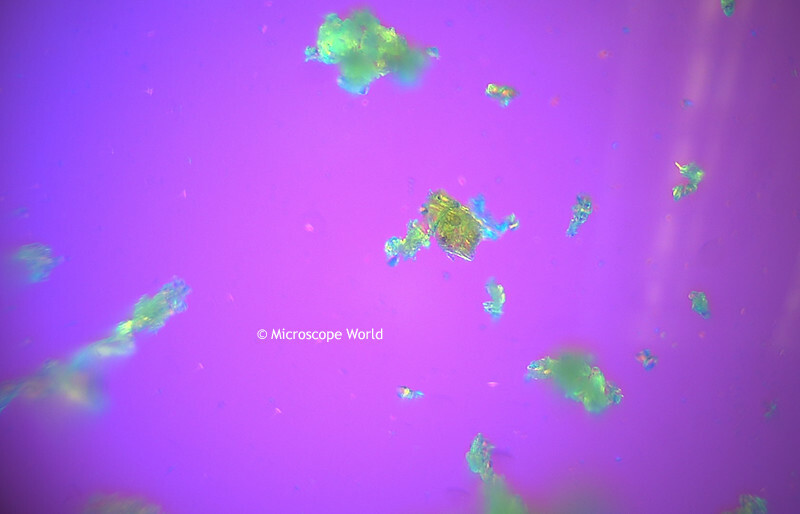 Ginger under a polarizing microscope at 100x magnification.